With a deep sigh of relief I settle into my chair and finally feel like writing. This last month has been a little distracting with the craziness of life whipping around me like a tornado. Even though I’m sitting peacefully in the eye of the storm, I know that any wrong turn can send me flying right into the destructive winds. Finishing up the dreaded errands of today I was rewarded with a ray of sunshine breaking through the dense storm clouds that has been the usual forecast. Oh, what a sight. God seemed to know exactly what I needed to inspire new life and energy running through my mind straight to my fingertips. This lousy weather of emotions and discouragement I have been experiencing lately is just part of the reality of this imperfect world; but it’s my own negligence that allows the winds to scatter my thoughts and blur my focus. How easy it is to give in to the chaos of my mind and just forget or ignore my needed daily dose of truth. I should know better and I’m disappointed in myself for not filling my soul with God’s Word. As my spirit slept my body trudged on with just a faint dim of light illuminating my path. On my way through the day’s overcast agenda I came across a bright shining beacon that awoke my spirit. Who knew a simple task would end up feeding my soul. Like a little bit of heaven melting in my mouth, I savored every bit of it and will surely remember the flavor for a long time to come. Little did the baker know that this morning’s batch of cookies would be completely devoured and enjoyed by someone who was desperately craving something sweet. I’m on a sugar high that I intend to keep. This is exactly what I have been needing and I am truly grateful. Thank you for the warm smiles, loving eyes, and thoughtful words that were so generously handed out. 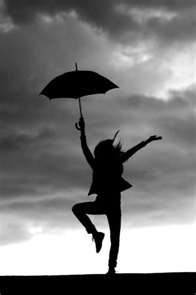 Your kindness has impacted me in such a positive way and has reminded me that I should be dancing in the rain, not hiding from the storm. The weather may change but the SON will always shine!